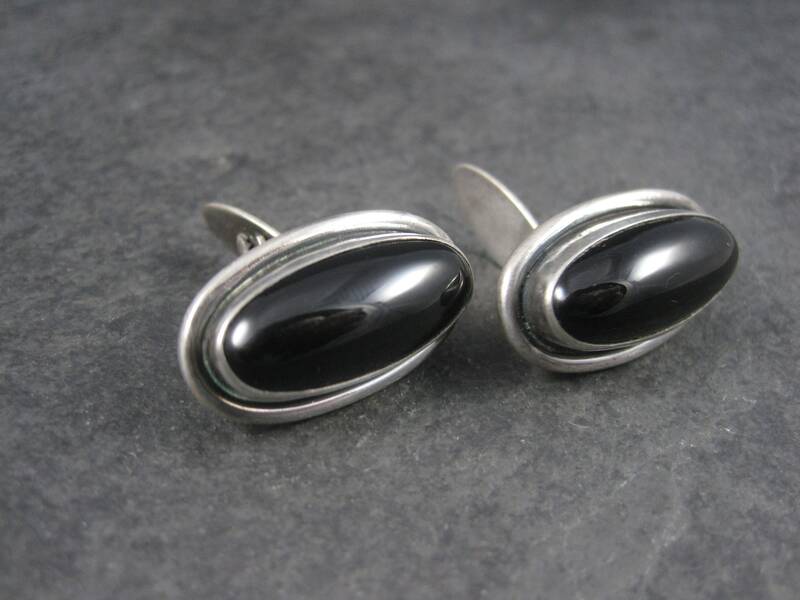 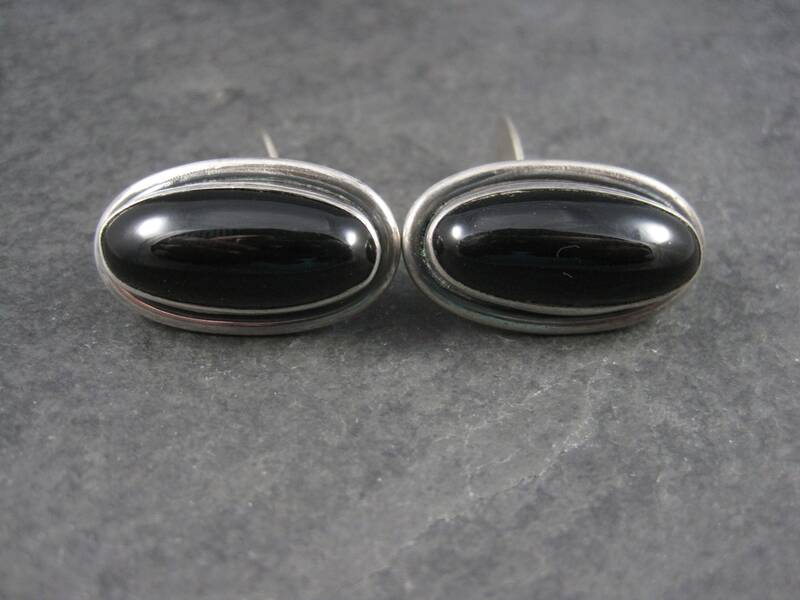 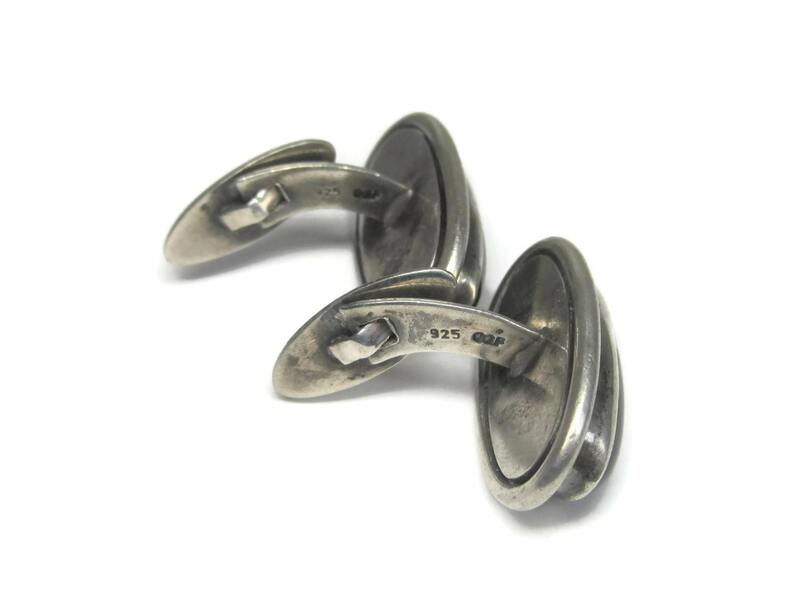 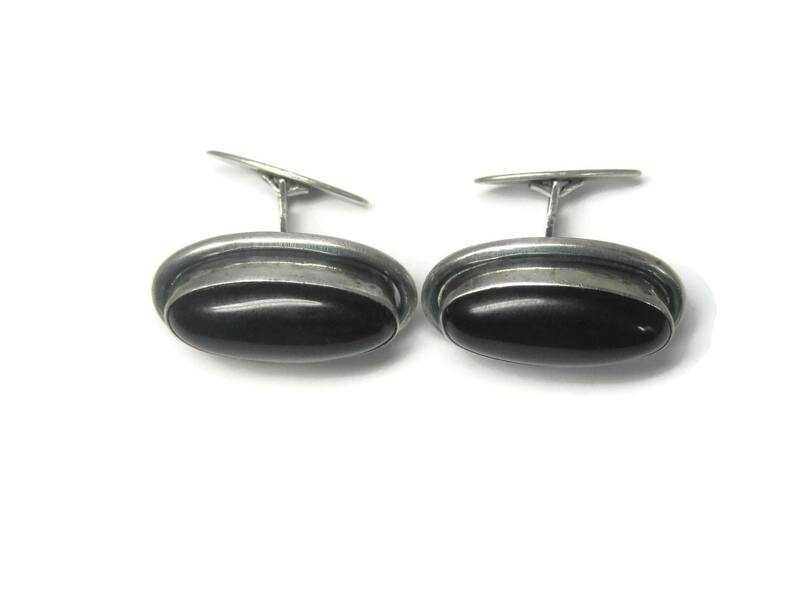 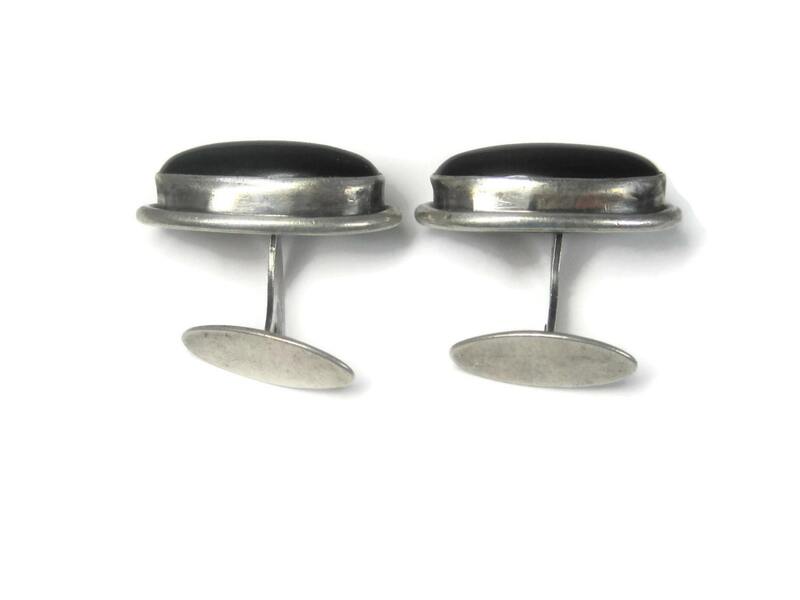 These gorgeous cufflinks are sterling silver. 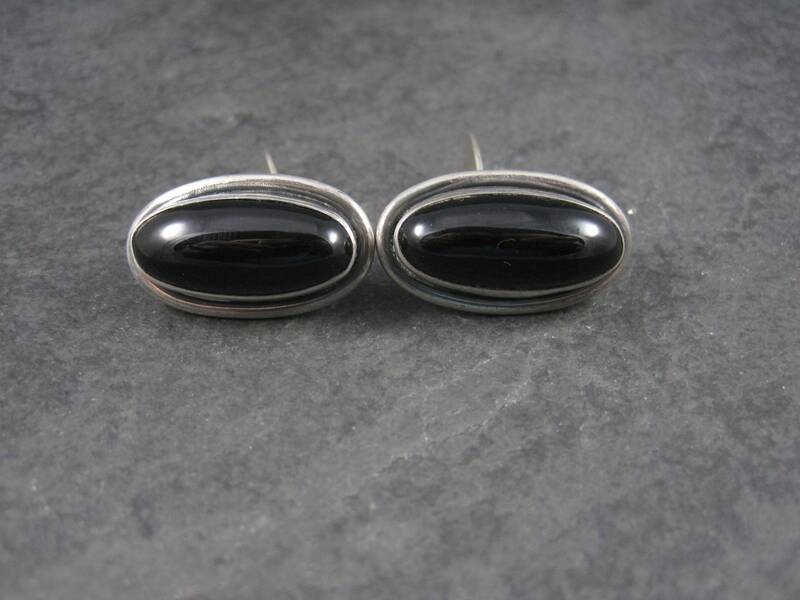 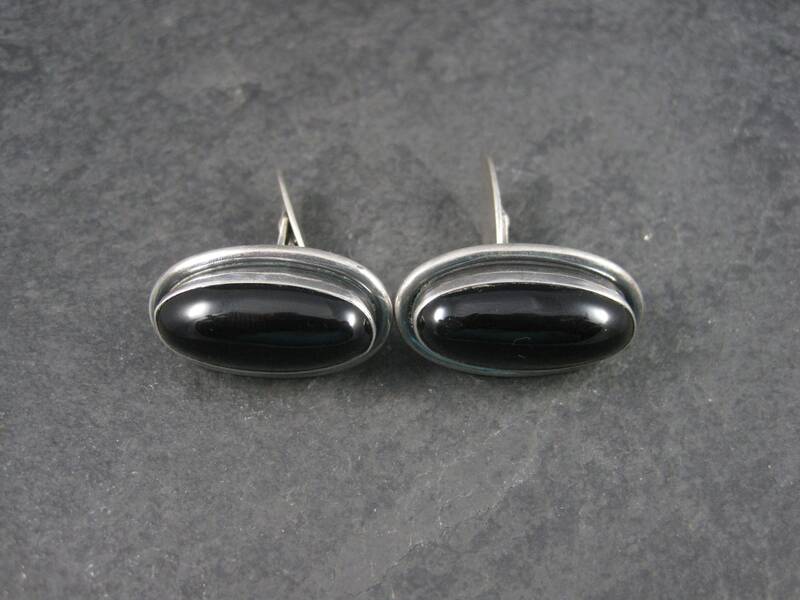 They feature large oval onyx gemstones. 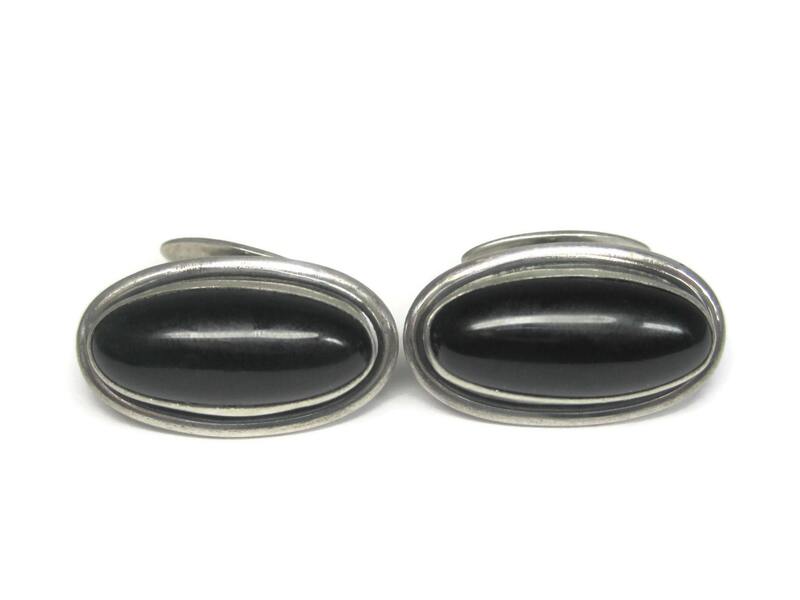 Measurements: 5/8 by 1 1/8 inches.